We will pick you up at the airport at the time of your arrival, to transfer you to the hotel / Riad where you will stay that night. Depending on the time of your arrival you will have time to visit the city. Dinner and accommodation in Casablanca. After a good night's sleep and a good breakfast, at the time that suits you, we will approach the Mosque of Hassan II. You will have the morning free to visit it and to know the medina. If the previous day you had enough time to know the city we advise you to go directly to Fes and thus have time to get to know this city. Dinner and overnight at a hotel in Fes. After breakfast we take the Ifran road known as the Switzerland of Morocco located in the middle Atlas. We will continue our way to the desert, knowing the forest of Cedros de Azrou. Crossing the city of Midelt before crossing the mountains of Tizi N'Tlghomt, we reach the Errachidia reservoir and the magnificent panorama of the Ziz valley, full of palm trees and Berber adobe villages. Arrival in Erfoud this city is built as one of the most important oases in Morocco. Then we will continue our way to the Erg-Chebbi desert of Merzouga. Dinner and accommodation at our La Source hostel. You are already in the desert! ... enjoying the magic of the dunes. In the morning, we take the 4 × 4 and we will know these lands: to the home of a family of Gnawas or Bambara musicians, descendants of the slaves who came from Black Africa, and who will delight us with their traditional music. We will enter the dunes, where the Paris - Dakar passes, we will meet some nomadic families that live in that sea of sand and stone ... An authentic adventure! ... We return to the hotel and leave the 4 × 4 there, then, in the afternoon we will ride the 8 × 8 (are the camels) that will take us to the heart of the desert where we will contemplate an unforgettable sunset. Dinner and accommodation in Haimas in the middle of the desert. After enjoying the first light of new day in the middle of the desert, we return with the camels to our hotel, to have breakfast and to give us a comforting shower. We will bid farewell to the desert, and we will head towards the Todra Gorge near the town of Tinerhir, at the end of a valley of palm trees and adobe villages surrounded by steep and barren mountains. It is one of the most famous natural sights of Morocco, whose walls narrow and rise, as if they were hands about to applaud, more and more abrupt, until reaching 300 m in height. Being a paradise for lovers of climbing. Dinner and overnight at a hotel located in the gorges of Todra. We will have breakfast and continue our way to the Dades valley, during the route we will pass by Berber villages like Boutaghar and Skoura, located in the heart of the valley of the palms. We will continue our way, crossing the mountains of the Atlas, crossing it by a port of 2,260m (col Tichka). And from there, direct to Marrakech., The city of one thousand and one nights, where we will stay in a Hotel / Riad, next to the Jemaa el Fna Square. In the morning after breakfast, we will make a guided tour of the City of Marrakech; After this visit, you will have free time until dinner time. Accommodation in hotel / riad near the plaza. 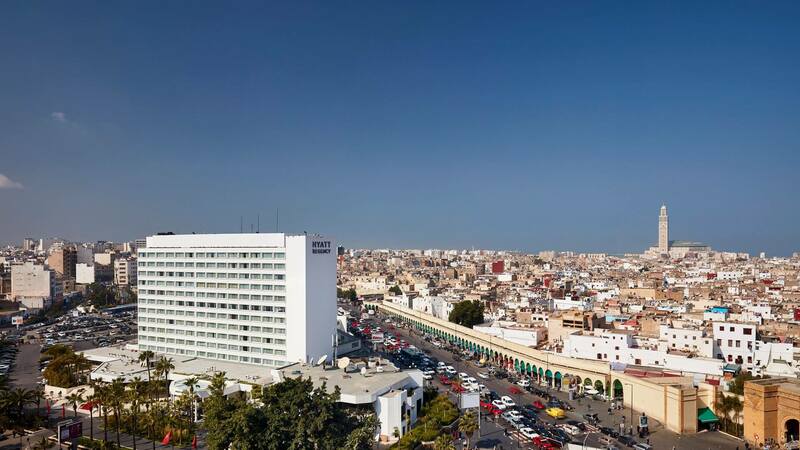 After breakfast and depending on the time you have to take the plane in Casablanca, you can enjoy a little more of Marrakech or directly we will go to the airport of Casablanca. Once at the airport, end of our services. Private excursion, there will be no more people in the group. Pick up at the hotel, riad, airport or wherever you want. Transport in Toyota Landcruiser 4 × 4 or Mini-bus. Chauffeur / Spanish speaking guide throughout the tour. 1 night accommodation in Riad / kasbah half board. 1 night accommodation in a nomad camp in half board. Fuel, tolls and all expenses associated with transportation. Camel ride to reach the desert camp. How to make the reservation? Fill out the form and we will get in touch with you as soon as possible, you can also contact by phone or WhatsApp.